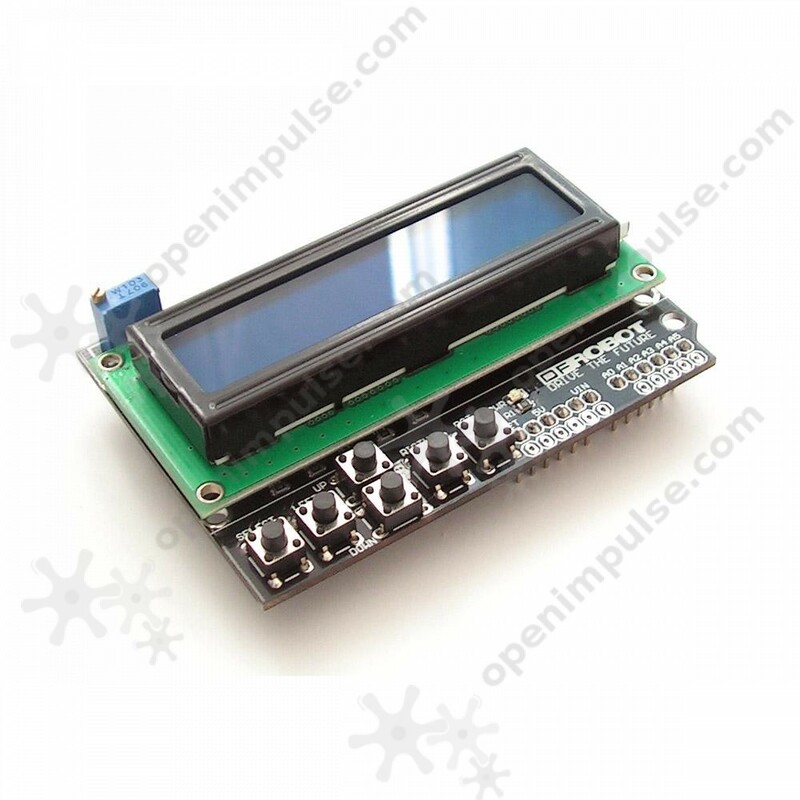 This is a very popular LCD Keypad shield for Arduino boards. It includes a 2 line 16 character LCD display and 6 push buttons for immediate actions. 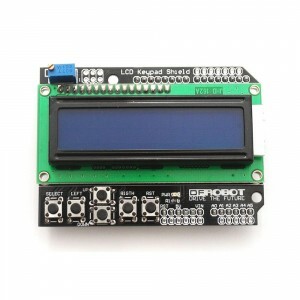 This is a very popular LCD Keypad shield for Arduino boards. It includes a 2 line 16 character LCD display and 6 push buttons for immediate actions. Pins 4 to 10 are used to interface with the LCD. Analog Pin 0 is specified for reading the instructions from push buttons. 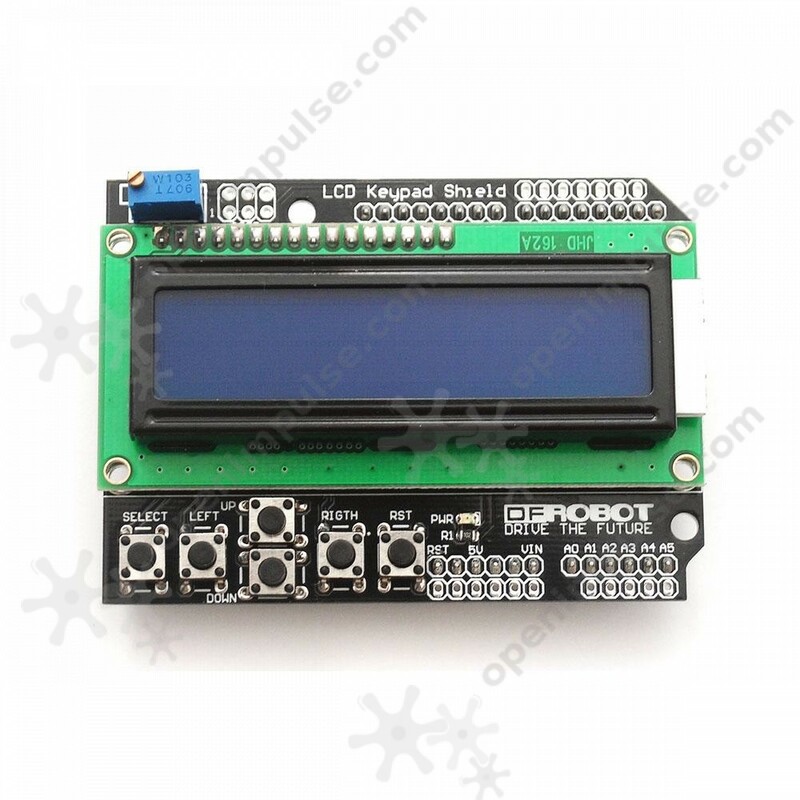 The LCD shield supports contrast adjustment and additional functions to turn back light on/off. The analog pins of this device are expandable to facilitate display and easy analog sensor reading.